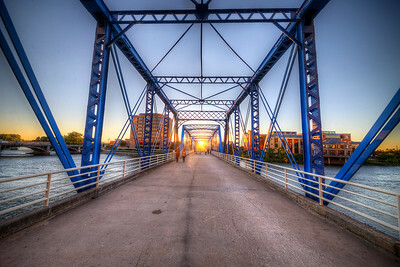 Once an industrial furniture town along the Grand River, Grand Rapids is now a thriving residential and cultural community with a vibrant downtown, particularly around the time of "Art Prize," the country's largest art competition, which takes to the streets every September. 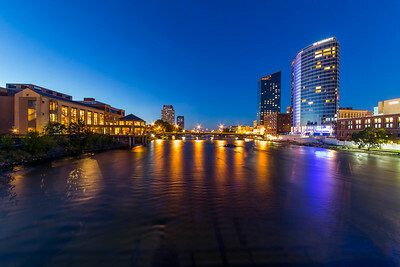 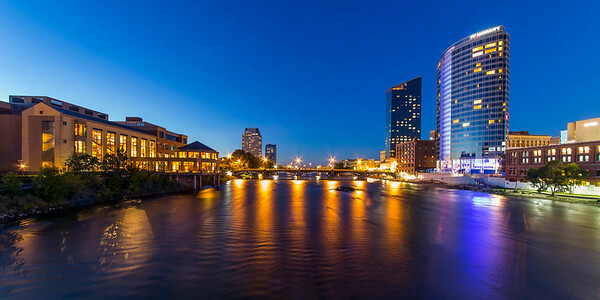 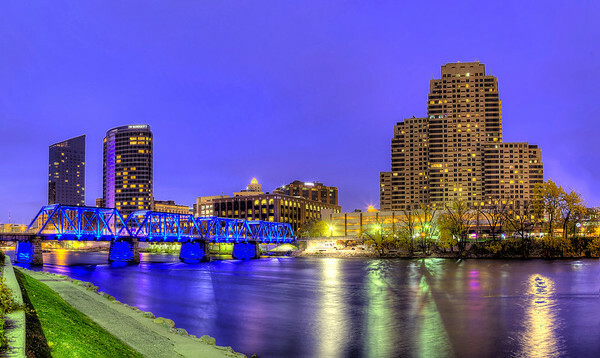 Grand Rapids' riverfront location makes it a very photogenic town too. 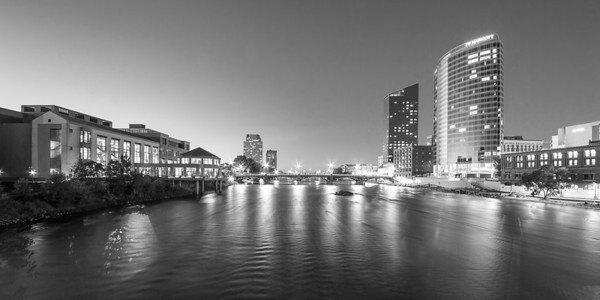 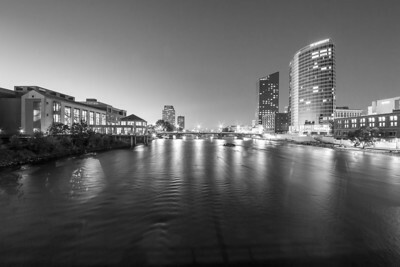 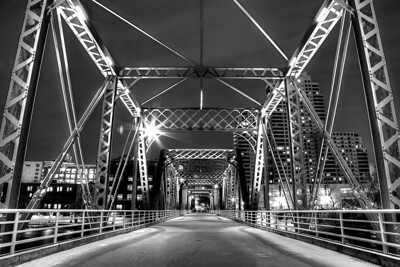 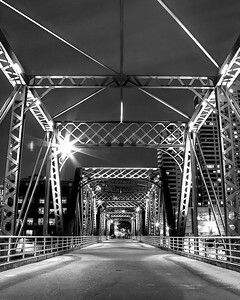 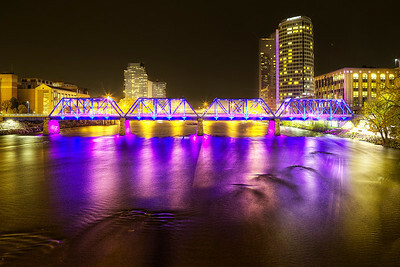 Fine art photography of Grand Rapids, Michigan. 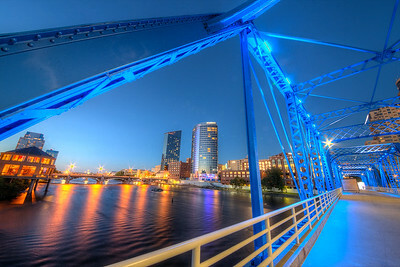 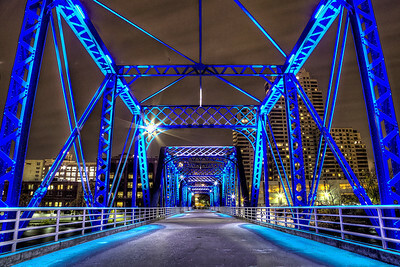 Blue Bridge in downtown Grand Rapids, Michigan.